Whichever comes first from original date of first use when vehicle was sold new. 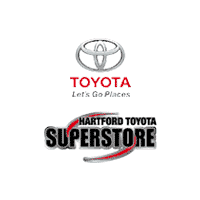 See your Toyota Certified Pre-Owned Vehicles dealer for warranty details. (Program is not available in Puerto Rico and Hawaii.) For AL, FL, GA, NC & SC, warranty coverage differs in the following ways: 7-year or 100,000-mile Toyota Certified Limited Powertrain Warranty coverage begins on January 1st of the vehicle’s model year and zero (0) odometer miles and expires at the earlier of seven years or 100,000 odometer miles. From the date of your Toyota Certified Pre-Owned Vehicle purchase. Covers most services, including flat tires, lockout service, jump starts, fuel delivery up to 3 gallons and towing for mechanical breakdown or collision recovery to the nearest Toyota dealership. Services provided exclude any parts required. Coverage not available in Mexico. See Certified Warranty Supplement for warranty details. Beginning December 1, 2005 CARFAX® Vehicle History Reports are a required part of every Toyota Certified Pre-Owned Vehicle. See your local dealer for details.